This versatile, sleeveless top is sure to become a wardrobe staple. Pair it with your favorite shorts or jeans for a breezy, casual look or layer it over a tank for cooler evenings. This simple geometric lace design can dress up any outfit. 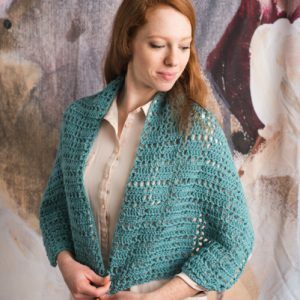 Make it in your favorite color to create the perfect spring shawl to add a little extra layer of warmth. 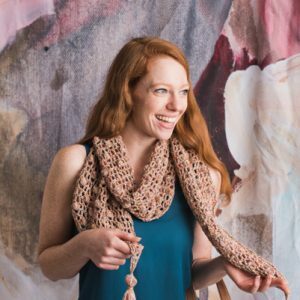 A filet mesh design with added popcorn for texture makes this a fun and flirty scarf for a summer adventure — perhaps even an adventure to Rose Bay. Crocheted with cotton, this scarf is lightweight and stylish with tassels at each end. This updated version features a slightly heavier yarn in a dusty rose color. 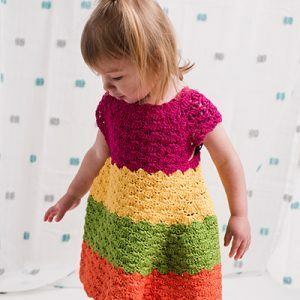 Wide strips of bright color made this top-down dress exciting and fun to make. Playtime in spring weather will be a breeze! 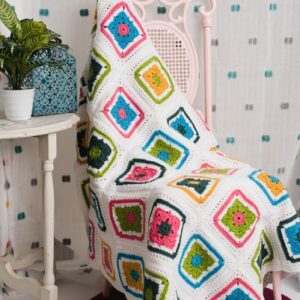 Sleep tight, sleep bright with this modern take on the granny square afghan. This soft and colorful blanket will bring spring warmth into your living room. This skirt was inspired by butterflies dancing on fresh spring foliage. 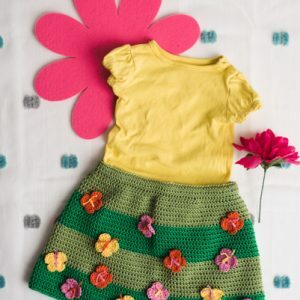 It is crocheted in the round from the waist down and features an elastic waistband for a custom fit. Make as many or as few butterflies as you like — and sprinkle them on the skirt with abandon! As proven in this wearable project, the classics never go out of style! Three-quarter sleeves, raglan shaping and adorable scalloped edging elevate this cardigan to wardrobe staple status. Decorate a crochet top with scallops at the hem, sleeves and neck and watch this easy piece transform into a must-have pattern. Pair this versatile top with your favorite pair of jeans or dressed up with a pencil skirt.